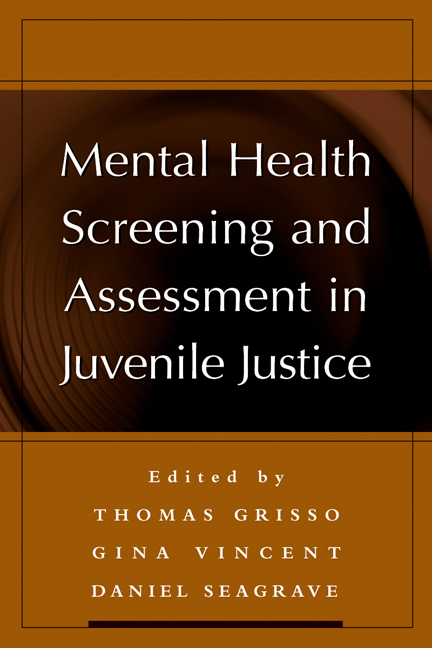 A complete, authoritative guide for professionals charged with identifying the mental health needs of juveniles in the justice system, this volume offers a practical primer on screening and assessment together with in-depth reviews of over 20 widely used instruments. The book describes how to put screening and assessment programs into place in juvenile justice settings in order to determine whether youth require specialized mental health treatment services, evaluate violence risks, develop more effective rehabilitation plans, and address specific forensic questions. Chapters on specific instruments—many of which are written by the test developers themselves—follow a consistent format for ease of reference and comparison. Coverage encompasses the psychometric properties of each measure, its recommended applications, and administration and scoring procedures, including an illustrative case example.